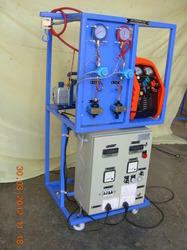 It is a recovery unit for recovering the freon gas fron the system. - Largest volume recovery rate in Market. 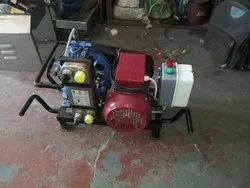 - Revolutionary double piston oil less compressor. - Auto low pressure switch for durability of compressor. - Safety high pressure switch. ECK Twin PRO is a Fully automatic Dual-Gas station for recovering, recycling, recharging, R134a and HFO1234yf refrigerants.